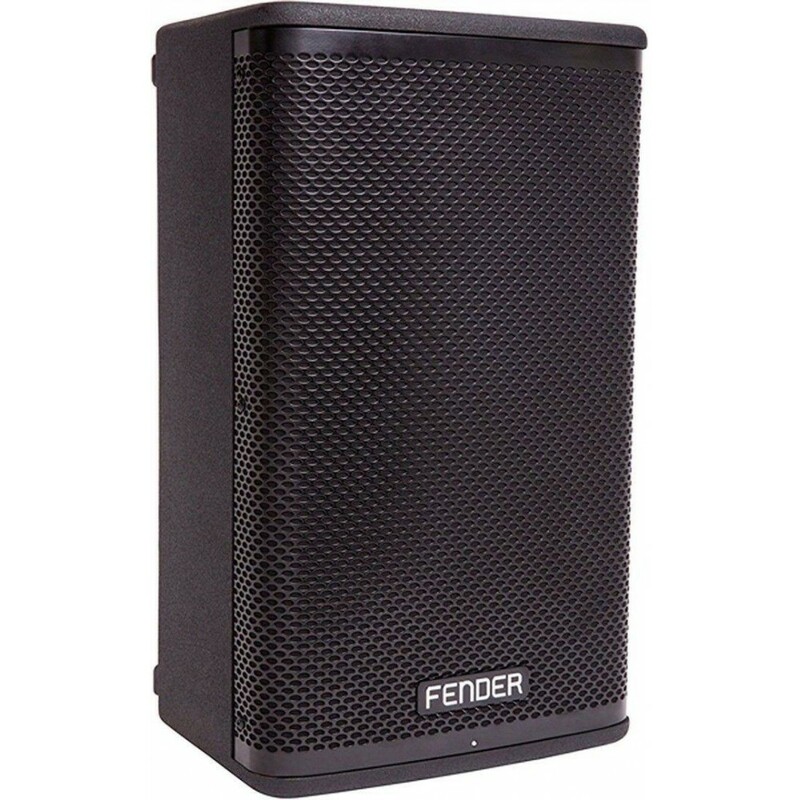 Experience revolutionary Fender® sound in a easily portable package that’s ideal for DJs, schools, houses of worship, solo performers, businesses or small-to-medium sized venues with the Fortis F-10BT 10” active two-way powered speaker. 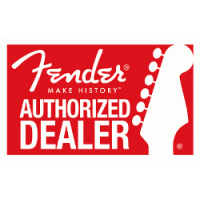 Combining the power of streaming technology and versatile design with user-friendly features, the F-10BT is 1,300W of Fender’s musical “art and science” engineering packed into a lightweight package. With a wide variety of I/O connections, the two-channel F-10BT can handle almost any source you send to it—even offering high-quality stereo Bluetooth audio for wirelessly streaming music from any Bluetooth source. 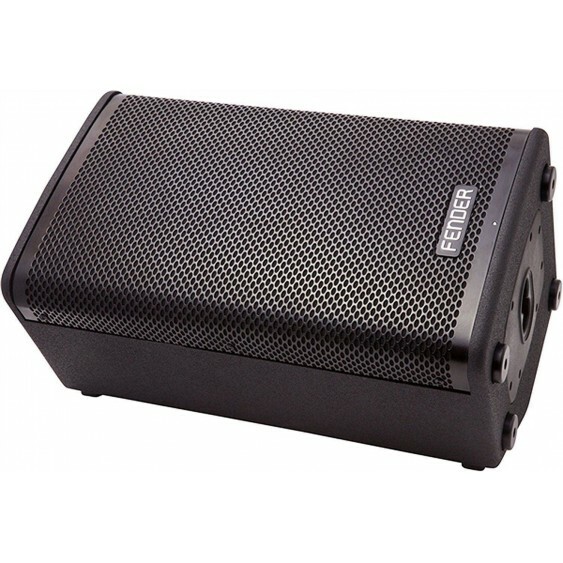 Channel One accepts line- and mic-level signals and is fed by a discrete balanced XLR-1/4” TRS combo connector while Channel Two offers stereo Bluetooth and 3.5mm auxiliary inputs. The Bluetooth signal can be passed on in stereo to additional enclosures via the extension and loop outputs. 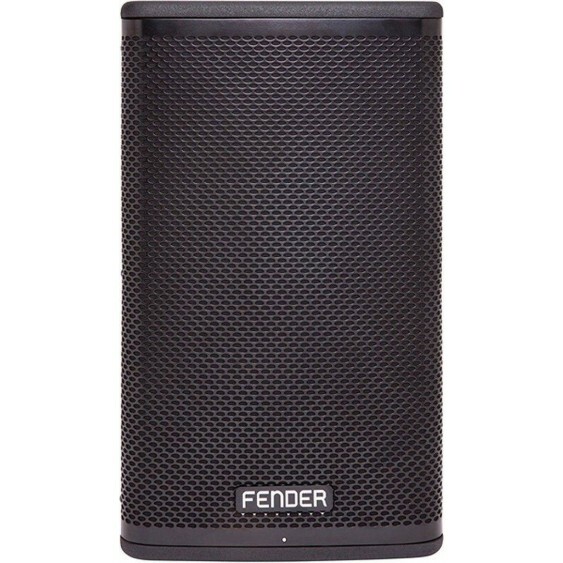 Proportionally powered by dual onboard Class ‘D’ amplifiers, the 1” titanium horn-loaded driver and the 10” woofer work in tandem to create crystal-clear room-filling sound with a 35°x90° dispersion pattern. 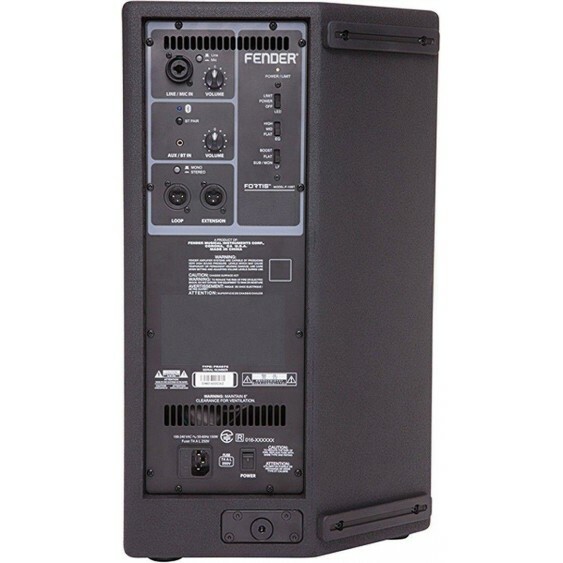 The easy-to-use rear panel controls include a three-position EQ switch and three-position LF switch to tailor the response of the speaker to the room along with per-channel volume and signal controls. 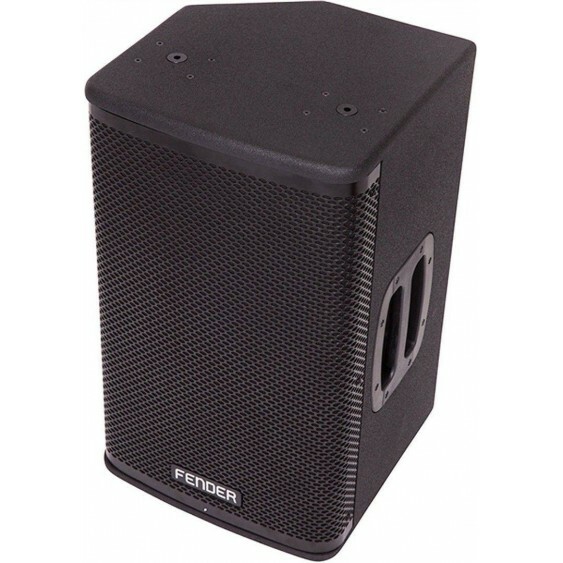 Two rear-panel XLR connectors offer switchable mono/stereo balanced loop-through and extension outputs, allowing for easy system expansion. 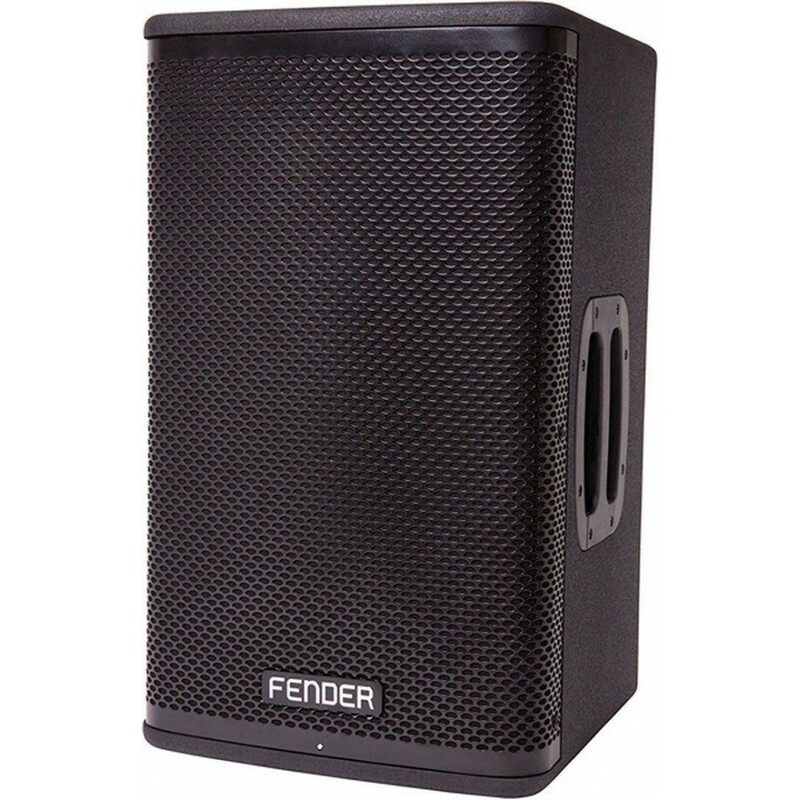 The highly robust and reliable enclosure is constructed from 9-ply voidless plywood with a hard-wearing paint and powder-coated perforated steel grill to shrug off the abuse of the road. 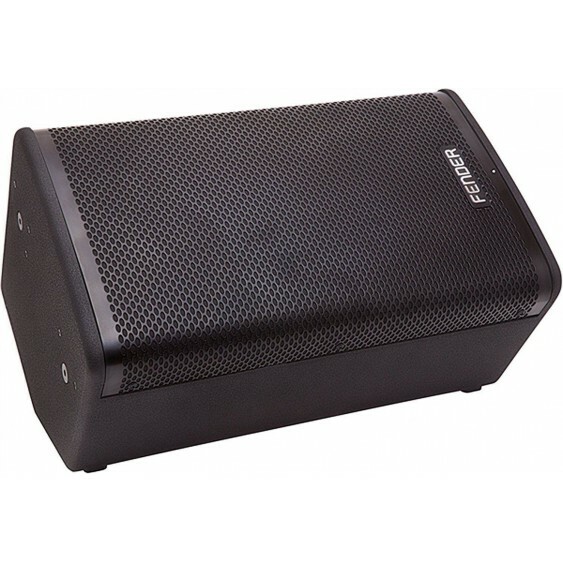 M10 rigging points and a 35mm pole socket with vertical and 7.5° downward angles make it easy to optimally position the speaker while the trapezoidal form factor allows you to also use it as a floor monitor. 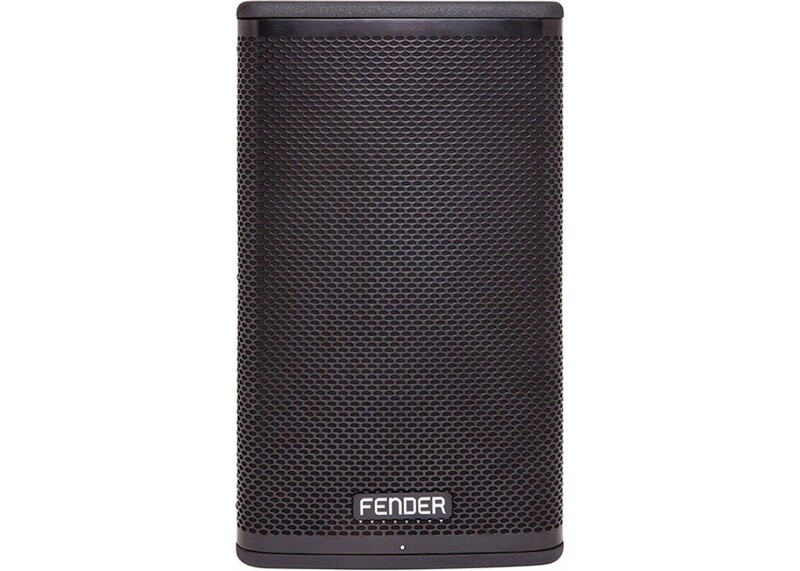 The F-10BT is a bold new entry from Fender, offering amazing performance and value for almost any small-to-mid-sized application.